Energy Matters installs quality solar panels and battery systems in New South Wales, including Broken Hill (postcode: 2880) and the Broken Hill and Far West region - we have a large network of accredited solar installers throughout NSW. The following details estimate output for systems installed in Broken Hill , plus other useful solar power related information and statistics relevant to the Broken Hill and Far West region. For expert advice on a system to suit your needs, including battery storage options, call our friendly New South Wales team on 133-SUN. On average, Broken Hill receives solar irradiation levels of around 5.13 kilowatt hours per square metre daily. Ideally, solar panels installed in Broken Hill should face a Northerly direction. Acceptable panel angle range is 16° to 26° and the optimal angle is 21°. On typical rooftop PV installations, actual installation angle will be determined by roof inclination. This information applies to north facing and unshaded solar power systems installed in Broken Hill and is based on components well suited to Far West and Orana area conditions. There are 2759 solar PV installations in Broken Hill's postcode, 2880, totaling 7760.25 kW of capacity. The 2880 postcode accounts for 0.181% of all the solar installations in Australia. The map below shows installations Energy Matters and its parent company has performed in the Broken Hill area. The average system size in Broken Hill is 2.81kW and the Australian average is 3.15kW. 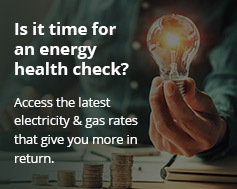 System owners in Broken Hill's postcode area are generating an average of 39810 kWh daily, saving them collectively approximately $358291 monthly and $4359204 annually**. The electricity produced by arrays in the 2880 postcode is enough to fully power 2156 Australian homes. System owners in Broken Hill's postcode are collectively avoiding 14531 tonnes (coal fired power) or 5812 tonnes (gas fired power) of carbon emissions each year; the equivalent of taking 2086 - 5216 cars off Broken Hill's roads. Figures above are approximations only - e.g., the retail value of electricity for Broken Hill households is based on 30c per kilowatt hour. We have accredited installers servicing Broken Hill and the Broken Hill and Far West region. For more NSW solar power information, request a quick solar quote, view our current specials on fully installed solar power systems in New South Wales or call our Broken Hill hotline on 133 SUN. Join Broken Hill's energy storage revolution! We supply and install home battery storage and battery-ready solar panel systems in Broken Hill and the Broken Hill and Far West region. Call our New South Wales team on 133-SUN for more information.